Trendy unique French Lace Fringe Braid for summer! 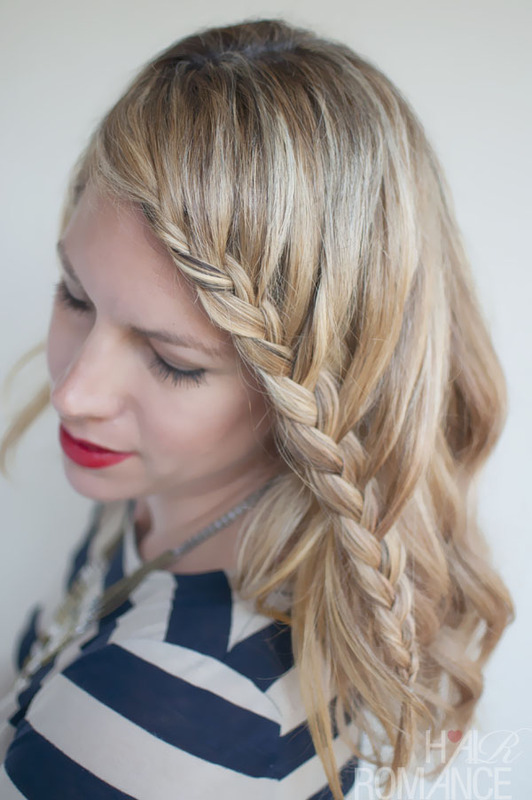 If you’re looking for an original and ultra-contemporary way to wear your long hair try this super, new braided hair style! From a deep side-parting, the fringe is combed across the forehead and into a stunning French braid, taking in the ends of the hair to form a long braid on one side of the head. Hair from along the side and back is swept forward creatively in edgy diagonal sections, laced into the braid. The multi-shaded blonde highlighting creates yet another exciting pattern in the plait and the hair draped in smooth, loose waves around the shoulders. This chic and unusual braided hairstyle has beautifully asymmetric profiles and is perfect for those who enjoy trend-setting style! 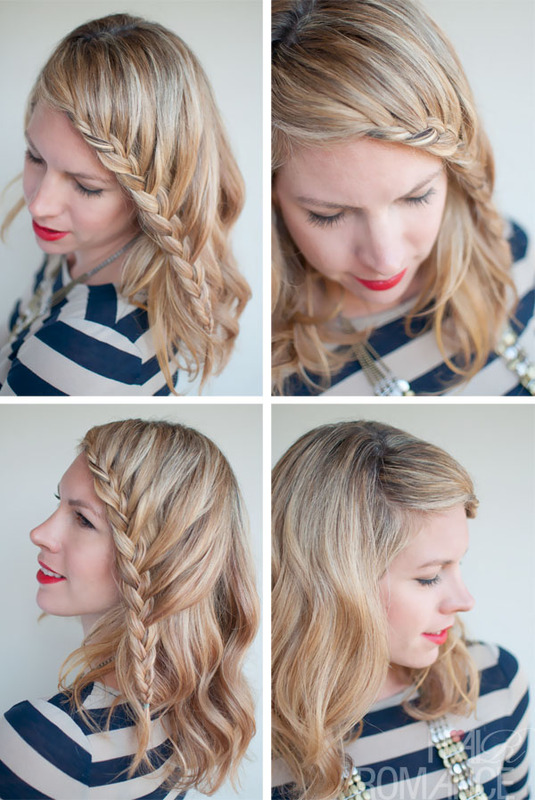 Do you want to know how to style this beautiful braid? You can find out the tutorial in this exciting ebook 30 Braids in 30 Days. This hairstyle book has 80 pages of all tips, tricks, cheats and techniques at your fingertips. Inside you’ll also find the how-to instructions to the essential braids of this series such as the Classic braids, Dutch braid hairstyle, Waterfall braid hairstyles, French braids, Fishtail braid and the Hair Romance signature Twist & Pin technique. Check it out here.